This time the spotlight will be shining on Paperwork, a game that actually comes bundled with a middle manager promotion, effective immediately. So let’s help it escape the cold, lonely emptiness of Greenlight limbo, eh? In Paperwork, you are a newly promoted middle manager. 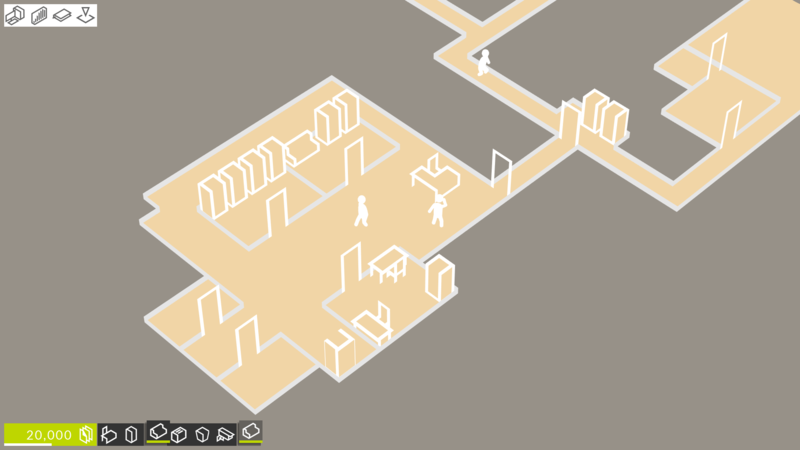 Thrown into this new and hostile environment of corporate politics, you must survive, expand and grow your reputation as a competent managerial employee. How about I fire everyone and sell the company remains instead? No? Aw. Not that I’m against the idea of being elevated to middle manager of course, but corporate politics, ya know? Heck, politics in general, even if this one does look like it comes wrapped in a fun – and minimalistic – package. Actually, that just might be its saving grace, because if you simplify politics… yeah. Think we’re onto something here. I mean, look at the above screenshot and tell me that doesn’t make the prospect seem significantly more exciting than, well, the real thing. Tell me. I dare you. Because if you do, you’re fired! So riddle me this, dear reader: why is Paperwork still struggling to get through Greenlight? It’s not out just yet, but even so… how about visiting its Greenlight page and handing over a ‘yes’ if you like what you see? Remember: your vote could be the one that grants it access to Steam!